BEECH Flush Fire Doors available from JAS Timber! The BEECH Flush FD30 Firecheck Doors are available to buy online from JAS Timber now! Steamed Beech is a light-straw brown/pink coloured hardwood. Premdor Steamed Beech veneered doors are manufactured using standard commercially available veneer cuts - in quarter cut only. 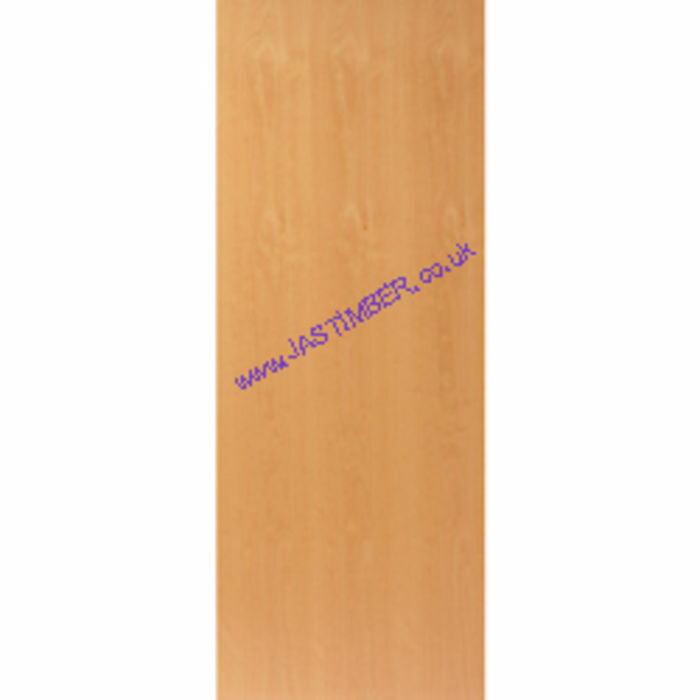 Real Beech Veneer Firedoors are suitable for Inspected work in Schools, Hospitals, Doctor's Surgeries, Nursing Homes, Hotels, Offices, Industry or at home, for inspection by the Building Inspector or Fire Officer. Beech FD30 Fire Doors have demonstrated a sound reduction value of up to 30RwdB, which can assist in meeting the requirements needed for flat entrance systems against Approved Document E. We can supply Fireshield Doors grooved, ready to take a Drop-down Acoustic Seal, to improve the door's acoustic rating.